At Ross Road Custom Crush we extend our services to wine grape growers or clients who source their own fruit and then need a fully operational facility to realize their winemaking goals. Whether you have a winemaker, or need one, your needs will be met through our customizable winemaking programs. Our attention to detail will give you confidence as we assist you every step of the way from harvest guidance to bottling and labeling. Whether it is a couple of hundred cases as you embark on your dream of owning your own brand, or 2000 cases as you grow your program we are here for you every step of the way. With many years of winemaking success on our staff your dreams are only limited by your imagination. Give us a call and explore the possibilities. 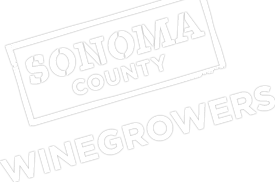 We are conveniently located in the heart of the Russian River appellation between Graton and Forestville. Visit our website below, and then make an appointment to visit in person. There are some great wines in your future.